From left: ‘Breathless and Burdened’ reporter Chris Hamby, Executive Director Bill Buzenberg and Project Editor Ronnie Greene celebrate moments after reading the 2014 Pulitzer announcement. A landmark Center for Public Integrity investigation detailing controversial denials of black lung benefits to coal miners has been honored with a Pulitzer Prize. 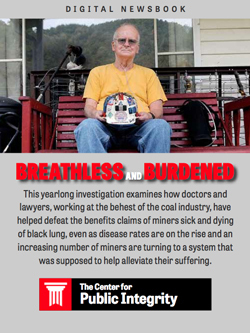 The winning series, “Breathless and Burdened: Dying from Black Lung, Buried by Law and Medicine,” was a year-long investigation by Center reporter Chris Hamby illuminating how doctors and lawyers working at the behest of the coal industry helped defeat benefit claims of coal miners who were sick and dying of black lung disease. One part of the three-part, 25,000-word series was produced in partnership with the ABC News Investigative Unit, whose work included an in-depth Nightline segment. The series won in the category of Investigative Reporting. The Pulitzers, administered by Columbia University, are widely considered the most prestigious prizes in journalism. 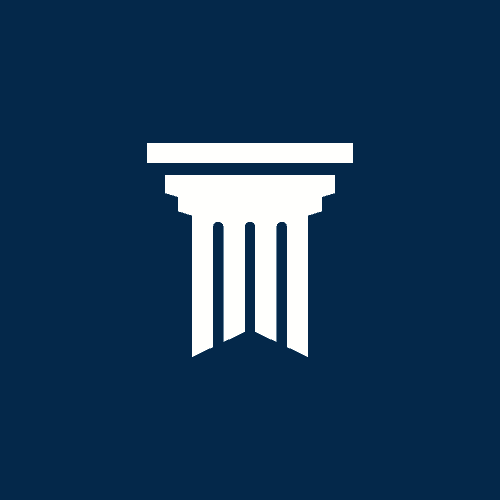 The award, announced this afternoon, marks a first for the Center for Public Integrity. “The Center for Public Integrity could not be prouder of this incredible honor — our first Pulitzer Prize as one of the leading nonprofit, digital, investigative news organizations,” said Bill Buzenberg, executive director. “I want to pay a special tribute to investigative reporter Chris Hamby for his non-stop dedication to the black lung project over the last year. Without his incredible efforts on behalf of sick and dying coal mine workers, we would not have won this singular prize. One result of his work is that miners with black lung will finally be getting the financial benefits they deserve. Reporter Chris Hamby details his yearlong look at miners suffering from black lung disease, and their struggle for benefits. Hamby reviewed thousands of pages of previously hidden legal filings and created original databases. His reporting revealed that industry-hired lawyers withheld key evidence in miners’ cases, and doctors at the John Hopkins Medical Institutions consistently denied the existence of advanced black lung on X-rays – even when other experts saw evidence of the disease. Hamby traveled to Appalachian coal country, interviewing miners sick from black lung, and survivors of those killed by the lung disease. Hamby, 28, is a Nashville native and holds a masters degree from the University of Missouri and a bachelors from the University of Richmond. He knew he wanted to be a reporter from the age of 16. His first full-time journalism job was with the Center, where he was an intern in 2010. “I want to continue to tell stories that give power and say to the voiceless and hold the powerful entities, be they public or private, responsible,” he said. Following the reports, Johns Hopkins suspended its black lung program, U.S. senators began crafting reform legislation, and members of Congress asked for a federal investigation. In addition, the Department of Labor announced procedural changes in the federal benefits system that deals with black lung claims, changes that could help miners navigate the complex benefits system. Breathless and Burdened was edited by Ronnie Greene and Jim Morris, and included interactive graphics created by Chris Zubak-Skees, with digital production by Sarah Whitmire. “This is a richly-deserved honor for one of the most meaningful pieces of journalism I have ever seen,” said Ronnie Greene, the project’s editor. Also nominated as finalists in this category were Megan Twohey of Reuters for her exposure of an underground Internet marketplace where parents could bypass social welfare regulations and get rid of children they had adopted overseas but no longer wanted, the stories triggering governmental action to curb the practice; and Cynthia Hubert and Phillip Reese of The Sacramento Bee for their probe of a Las Vegas mental hospital that used commercial buses to “dump” more than 1,500 psychiatric patients in 48 states over five years, reporting that brought an end to the practice and the firing of hospital employees. “Breathless and Burdened” is a product of the Center’s workers’ rights unit. Founded in January 2010 and led by senior reporter and editor Jim Morris, the unit has produced major investigative work on subjects such as the international marketing of deadly asbestos; worker and public safety hazards at the nation’s aging oil refineries; and regulatory lapses that put temporary workers, coal miners, contract laborers and others at risk. The Center is among the few U.S. news outlets committed to in-depth, investigative reporting on worker health and safety and economic justice issues. The Pulitzer Prize is the latest in a string of honors for Breathless and Burdened, and the Center’s body of 2013 work. “Breathless and Burdened” also earned the Edgar A. Poe Award for national reporting from the White House Correspondents Association and the Goldsmith Prize for Investigative Reporting from Harvard’s Kennedy School of Government, among other national honors. “Secrecy for Sale” was honored by Investigators Reporters and Editors and also received the business/economics reporting prize from Scripps Howard. In addition, the Center was presented on Friday with a George Polk Award for its “After the Meltdown” series, which revealed that many of the major players responsible for the 2008 financial crisis have faced few consequences for their actions. Other Pulitzer Prize winners for Journalism include the Washington Post and The Guardian for their revelations of widespread secret surveillance by the National Security Agency. Congratulations to all of this year’s Pulitzer Prize winners.